The history of how the “nacho” came to be is a fun one. Back during WWII, a dozen or so military wives left the Army base in Eagle Pass, Texas to venture over the border to Mexico for food and drink. The maitre d’, Ignacio Anaya, was more than happy to accommodate them at his popular club in Piedras Negras, Mexico. Only problem was the kitchen was closed, and he wasn’t exactly known for his cooking prowess. And while that may have been where they originated, they didn’t fully come on board the, ahem, culinary scene until the 60’s when the Texas Rangers added the item to their stadium fare. From there, nachos took off to all areas of the United States. And who doesn’t like nachos? They’re fun finger food, and you can get them anywhere, from the dreadfully tacky (as in your local movie theater) to amazingly and obscenely wonderful at your favorite sports bar or Tex-Mex joint (and make no mistake, Nachos are the definition of Tex-Mex). Hell, even Taco Bell has been making a passable version with its “Nachos Bellgrande” for decades. Just the kind of nacho that would hit that sweet spot during a midnight craving. In essence, nachos are a fun food in all of their iterations. Folks, I truly don’t understand this new Taco Bell “Naked Chicken Chip Nacho.” First off, what in the holy hell makes it naked?!? I gave them a pass with their “Naked Chicken Taco Shell” since I figured they were calling it “naked” because there was no meat inside the shell. But this new naked chip? I’m baffled. It’s got more fried breading than chicken. And that’s just the name. BK nuggets are 10 for a $1.50 vs. 6 Taco Bell’s monstrosities for $1.99? Unless you like Bell’s laughable excuse for cheese sauce, I can’t think of a worse tasting nugget out there. 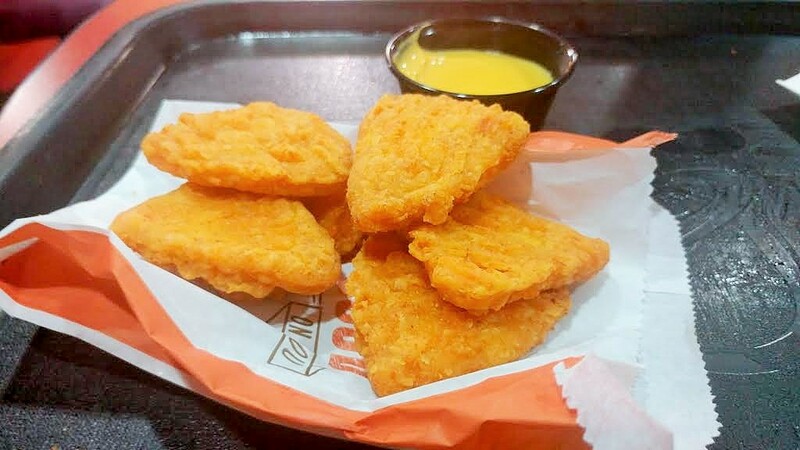 And, make no mistake, this is simply a triangle shaped chicken nugget. And one with the least amount of chicken I’ve ever seen. 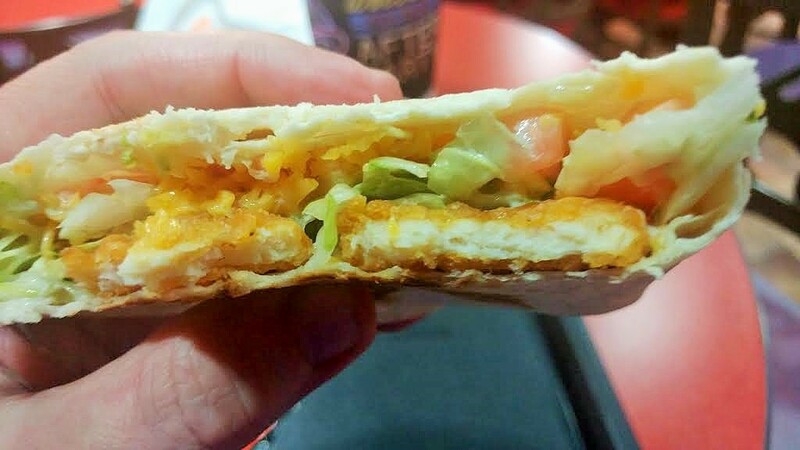 Still, I ventured on and also tried the “Chickstar” Crunchwrap. It throws these beak-shaped chicken wafers into a tortilla with lettuce, tomatoes, cheese, and avocado ranch sauce. The new additions added so little to this. It was a very pedestrian, boring Crunchwrap. Again, so many better options at any drive thru. I can count on one hand items at Taco Bell I’d enjoy less than trying this again.